What's the single biggest cost you have as a Mainframe manager? Software licensing costs. These are the regular costs you pay to have the right to run software, and to get support if it breaks. But we're all in favour of making this cost as small as possible. So this quarter we're going to look at ten ways to squeeze these costs down. Check you really need it. Don't laugh. This sounds obvious, but it's only too easy for software that is no longer needed to slip through the cracks. For example, you may have some software that was originally needed for CICS applications that have since moved elsewhere. You may also have software licensed for all z/OS images, but only used on one. To combat this, it's essential to create and maintain an inventory of all software, including what it does, why it's installed, and who uses it. Check you really use it. As your Mainframe workload changes over time, it's only too easy for the use of a software product to quietly decline without Mainframe managers noticing. You may be paying thousands of dollars for a product that only a couple of people are actually using. You need to regularly analyse the usage of your software, and schedule the removal of any software no longer needed. Check you don't have two products doing the same thing. You may use all your software, but have two software products performing the same or similar function. You need to fully understanding your software inventory, and exactly how each product is used. Most software licensing charges are based on the size of each LPAR running that software - the MSU rating. You can find this value from the IBM website, or a program to call IBM's IWMQVS service. A few years ago IBM introduced another option: Sub-Capacity Pricing. This is where your software licensing charges are based on your CPU usage, not on your LPAR size. So software running on a lesser-used LPAR will be cheaper. It also makes upgrades easier to justify as you don't get hit by increased software charges with the larger processor. IBM isn't the only vendor offering Sub-Capacity Pricing. Other vendors such as BMC and CA are also jumping on the bandwagon. Many sites now run at least one 'capped' LPAR, meaning that the CPU resources available to it are artificially capped using Workload Manager (WLM). Software that is charged on MSU rating is run in this capped LPAR, reducing costs. Users of Sub-Capacity pricing may consider doing the opposite: consolidating LPARs. This reduces CPU consumption by reducing the overhead of running a z/OS image. Compare the price of competing products, and consider moving to cheaper ones. For example, SAS users may consider the SAS replacement product WPS by World Programming. It's true that in some cases moving to different products can be very difficult and expensive. However it isn't necessarily so, and many vendors offer migration tools to ease this pain. Tuning your systems reduces CPU usage (good for Sub-Capacity pricing users), and delays upgrades to larger processors. Software products such as Tachyon Assembler Workbench and Microfocus Mainframe Express allow you to perform Mainframe software development on Windows and UNIX platforms. Some products such as Websphere Enterprise Service Bus and CICS Transaction Gateway daemon run on both z/OS and other platforms. Some workloads may easily be moved to other platforms. SOA and related services now makes Mainframe services and data easier to access from other platforms. For the past couple of zSeries processor generations IBM has been providing a 10% MSU 'discount'. In other words, a z10 processor will have an MSU rating that is around 10% lower than an equivalent z9 processor. This translates to software license cost savings. IBM now offers Speciality Processors such as the Integrated Information Processor (zIIP) and Application Assist Processor (zAAP). These special processors cannot do 'normal' work, but can be given specific work by normal Mainframe processors. This can improve the performance of Java applications and other subsystems such as DB2. But the interesting advantage is that the work done by these processors doesn't count towards your CPU usage if you use Sub-Capacity Pricing. Many new software products are also off-loading work onto these Speciality Processors, including software from BMC and CA. It doesn't take a rocket scientist to know that implementing any of these ten methods is a large project, and needs to be performed regularly. However you do have some tools to make this easier. IBM Tivoli License Commpliance Manager for z/OS (replacing Isogon SoftAudit for z/OS and Ubiquity Dorana) will automatically list all software installed, who uses it, and how often.
. Mainframe security software has facilities that can help you track software usage. For example, enabling RACF program control to log access to specific programs can tell you who is using a product, and how often. IBM provide a free Sub-Capacity planning tool to help you plan for Sub Capacity licensing. Ask them for information about software products you already have, and alternatives they may have for your existing software. You secret weapon in the fight against software licensing costs. Systems Programmers install and customise all your z/OS software, so they usually know what it does, and possibly who uses it. They can also setup monitoring to determine who is using which software and how often, and will be your scout when looking for alternative software products and freeware. So there's ten ways to reduce software licensing costs. Regularly committing time and resources to managing your software licenses will almost certainly pay big dividends to your Mainframe budget. Cutting IT Costs with IBMs MSU Software Licensing. Stephen Swoyer, Enterprise Systems Journal, Mar 2007. How to Cut the (Not So) High Cost of Mainframe Software. Stephen Swoyer, Enterprise Systems Journal, Jul 2007. 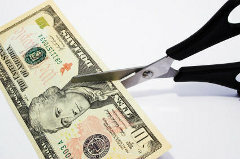 How to Cut Mainframe Software Licensing Costs, Part II. Stephen Swoyer, Enterprise Systems Journal, Oct 2007. IBM Systemz Software License Pricing Website. Making Mainframe Software Asset Management a Success. Mike Zelle , zJournal, Sep 2005. Add Some zIIP to Your Mainframe. Ashraf Kamel and Ollie Jones, IBM Systems Magazine, Dec 2007. Longpela Expertise can manage mainframe costs, projects and outsourcing agreements. Contact us to get your own independent mainframe expert.